Marvel's Ant-Man and the Wasp is one of two Marvel Cinematic Universe movies that will hit theaters between both Avengers: Infinity War and Avengers 4. Ant-Man 2 opens July 6, 2018, just a few months after Avengers: Infinity War arrives May 4, 2018, and star Evangeline Lilly recently dropped a very interesting tidbit about how her sequel could tie into other MCU adventures. Here's what the actress who plays The Wasp had to say in a recent interview, comparing what's about to happen to what happened on Season 4 of her hit series Lost. "When I heard about Infinity War and the direction that they're heading, I did have this moment of realizing, oh, wow, there's a bit of a déjà vu for me with the Lost franchise. We are hitting that (Lost) Season 4 space where everything's about to shift, and you're about to lose the solid ground underneath you. And Ant-Man and the Wasp, of course, will play a part in that. Those characters are experts in the quantum realm}. In Ant-Man and the Wasp, they are trying everything in their power to safely enter the Quantum Realm and return back from it because they have evidence from the first film that Scott Lang was able to do that. If he can do it, why can't we? If we do succeed in Ant-Man and the Wasp, then that does open a whole entire new multi-verse to enter into and play around in. I'm not the story creator, so I can't tell you what they're going to do with that. But I definitely see the potential there." 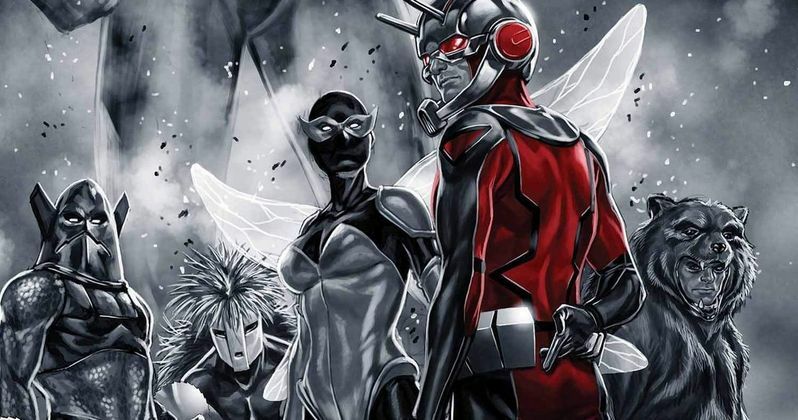 The actress seems to be dropping a big hint that Scott Lang and Hope Van Dyne will succeed in safely travelling in and out of the Quantum Realm, but that has already been hinted at before. Marvel confirmed in July that Michelle Pfeiffer is playing Janet Van Dyne, Hope's long-lost mother who was last seen in the Quantum Realm and never made it back to our world. How Janet Van Dyne returns, and how that fits into the story remains to be seen, but the implication that it could have an impact on future movies such as Avengers 4 is also quite interesting, especially since it has already been confirmed we'll see the Quantum Realm in Captain Marvel. The actress was also asked about working with Marvel Studios president Kevin Feige, and the actress had this to say, hinting that there will be some big losses in either Avengers: Infinity War or Avengers 4. "Frankly, if it wasn't Kevin at the helm, I think I would be very, very nervous to be losing these pillars and the people who paved a way for characters like the Wasp. When he walked me through the general story arc of Infinity War, it dawned on me: oh, I understand now, we're moving into this new Phase. The color of that new Phase can be clearly seen emerging through Ant-Man, Guardians of the Galaxy, and Thor: Ragnarok. It's just a more colorful, more playful, heightened reality that we're going to enter." We reported last week that, just before the Thanksgiving holiday, Ant-Man and the Wasp wrapped production, but before that, stars Paul Rudd and Evangeline Lilly were actually shooting both that movie and Avengers: Infinity War at the same time, in different parts of Atlanta. Paul Rudd revealed that he "felt like he's cheating" when he films scenes with the Russo Brothers for Avengers 4, since he's playing the same character for different directors. Evangeline Lilly also revealed she has been shooting both movies at the same time, but to a lesser extent than Paul Rudd. Here's what she had to say below. "I am [shooting both] but a lot less so than Paul. My character is a lot less prominent in Avengers than his is. I've only done one day on Avengers thus far, and then I do some more after I wrap on Ant-Man and the Wasp, but they will come back to back. I'm not sure if I'll be able to leave Atlanta before I start shooting the Avengers. I think I'm just stuck here until the New Year." Evangeline Lilly made these revelations during a new interview with Vanity Fair, although it doesn't state when the first Ant-Man and the Wasp trailer may debut. It wouldn't be surprising if the first trailer would be attached to Marvel's Black Panther, which hits theaters on February 16, or it could also debut during the Super Bowl. Regardless, hopefully we'll hear more about Ant-Man and the Wasp soon.